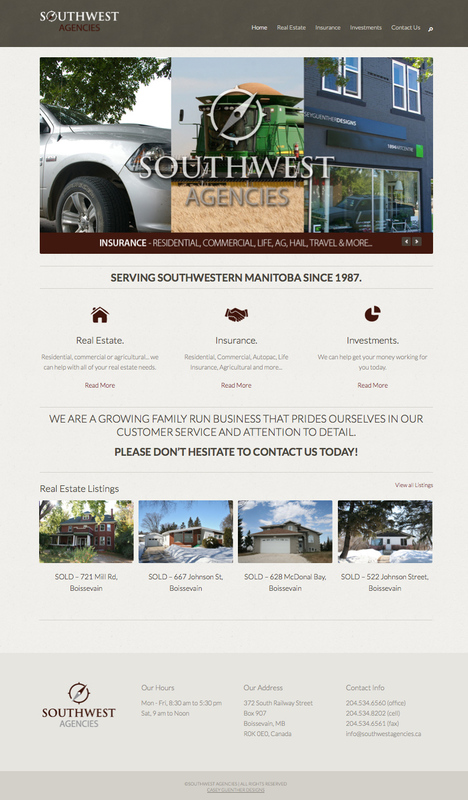 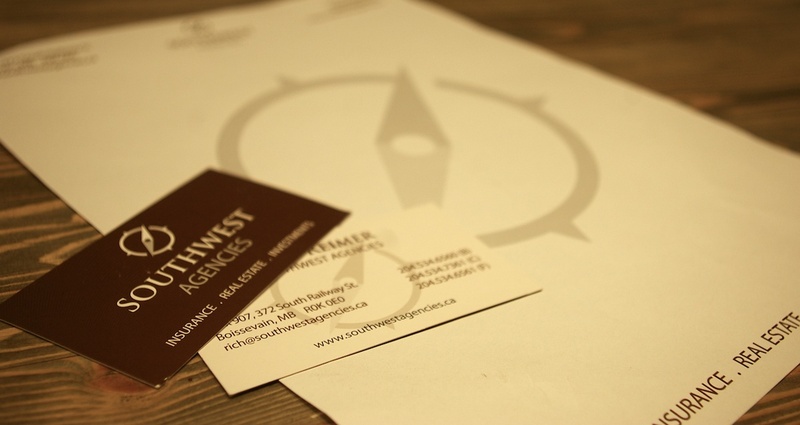 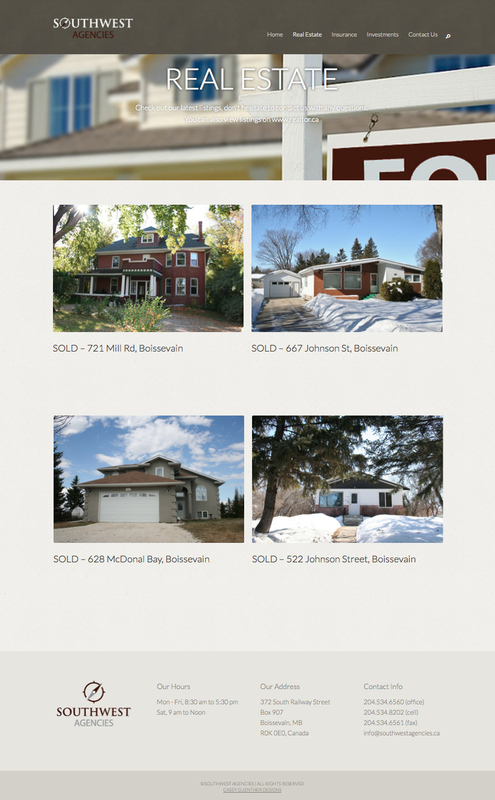 Southwest Agencies is a family business located in Boissevain, MB. This overall branding project included a logo remake, stationery design, website design and storefront design (should be done in Spring of 2014). 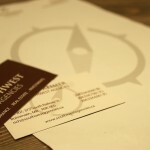 We opted with the ‘classy’ colours of dark red and tan, and the logo uses a southwest pointing compass. 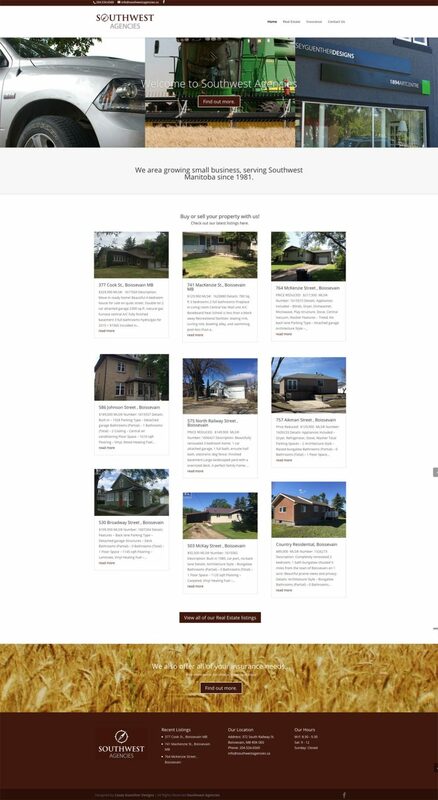 The website is powered by WordPress, and easily managed by the client.